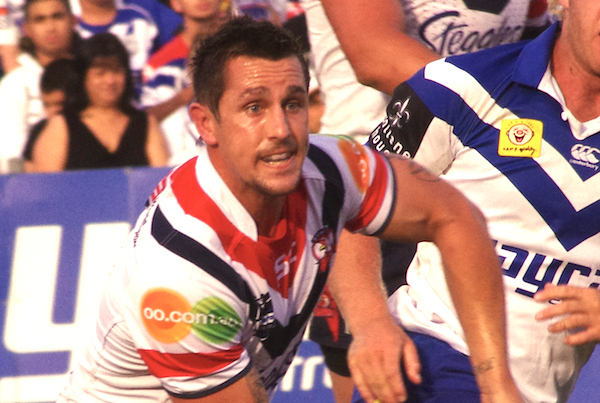 I have not watched this week’s scandalous off-field video of NRL Roosters captain Mitchell Pearce, but it seems he has clearly crossed the line of decency. Yet, without excusing his behaviour in any way, it is worth pausing to reflect on the mixed messages our society communicates to each other. This event happened on Australia Day, which is, after all, the day when Aussies love to have a few beers around the barbie, and to celebrate the larrikinism that is part of the fabric of our nation. Yet, it is this very mix of larrikism and excessive alcohol that has combined to bring out the ugliness that has been exposed in this video. Pearce crossed the line, but our society pushed him towards it. This night of drunkedness will no doubt be a career-defining moment for Pearce, with widespread expectations that he will be stood down as captain. Yet, whilst Aussies laud the lewdness of our drunken, pornified world we should sadly expect more young men and women like Pearce to cause harm to others and to their own reputation. No wonder the only command to young men in Paul’s New Testament letter to Titus is “self control” (2:6). May the downfall of Pearce be an eye-opening moment for all Australians, young and old.